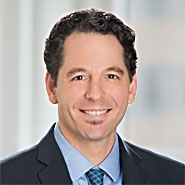 Amgen v. Sandoz is the first and thus far the only Federal Circuit decision interpreting the BPCIA, which governs biosimilar applications and related patent disputes. It was a split decision, with Amgen prevailing on one issue and Sandoz prevailing on another. (Patterson Belknap represented an amicus curiae supporting Amgen). The issue Sandoz lost and is seeking cert on concerns when a biosimilar applicant can provide an effective “notice of commercial marketing,” which the BPCIA states must issue at least 180 days before the biosimilar enters the market. In Amgen v. Sandoz, the Federal Circuit held that a biosimilar maker can only give effective notice of commercial marketing after the FDA has licensed its product, meaning that the first sale of a biosimilar product cannot be sooner than six months after the FDA’s licensing decision. In its cert petition, Sandoz contends that the Federal Circuit’s decision is contrary to the statutory language, that it effectively extends the statutory exclusivity period beyond what Congress intended, and that it awarded Amgen an inappropriate remedy by requiring Sandoz to remain off the market until the end of the 180-day notice period. In its opposition, Amgen makes three principal arguments for why the Supreme Court should not revisit the Federal Circuit’s decision. 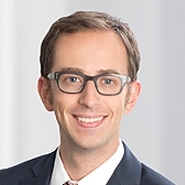 First, Amgen addresses Sandoz’s argument that the notice of commercial marketing can be served at any time, contending that the statute, by referring to a “biological product licensed under subsection (k),” states clearly that notice must come after the biosimilar product has been licensed. According to Amgen, because the Federal Circuit “correctly, and unanimously” decided this issue, and because their statutory interpretation does not conflict with the statute or any precedent, it is not appropriate for review. Second, Amgen contends that the questions Sandoz presents about whether the Federal Circuit improperly “fashioned its own injunctive remedy” to enforce the 180-day notice period are not properly presented by the facts of Amgen v. Sandoz. Amgen points out, for example, that Sandoz’s argument focuses on the statutory remedies for a failure to provide a notice of commercial marketing at all, but that Sandoz in fact gave notice under that provision, albeit at a time that the Federal Circuit concluded was premature. Thus, according to Amgen, much of Sandoz’s cert petition is based on questions that simply are not at issue in Amgen v. Sandoz. Finally, Amgen argues that many of the questions raised by Sandoz are “currently percolating in the lower courts,” suggesting that the Court should await the resolution of these other BPCIA cases before construing the statute. Amgen points to, for example, Amgen v. Apotex, Janssen v. Celltrion, and an unrelated Amgen v. Sandoz action that also concerns biosimilars. Amgen also filed a conditional cross-petition, directed to the Federal Circuit’s holding on the BPCIA’s patent dance. In Amgen v. Sandoz, the Federal Circuit held that though the requirement that the biosimilar applicant “shall” initiate the patent dance by providing information about its product, when “read in isolation,” is mandatory, in the context of the statute as a whole it is actually optional, with the innovator’s only remedy for failure to provide the required information being to bring a patent infringement suit in which “it can access the required information through discovery.” Although Amgen did not initially seek certiorari on this issue, it argues in its conditional cross-petition that the Supreme Court should review both issues if it is going to take the case. In the cross-petition, Amgen contends that the notice of commercial marketing issue and patent dance issues are interrelated and should not be decided in isolation from each other. Amgen further argues that the Federal Circuit’s conclusion that the patent dance is optional is contrary to the Supreme Court’s statutory interpretation jurisprudence, which, according to Amgen, requires the word “shall” to be interpreted by its plain meaning as a mandatory command. Meanwhile, other players in the biosimilar industry have come out in favor of Sandoz’s petition. As they did in the Federal Circuit, biosimilar makers and industry groups such as the Biosimilars Council, Mylan, Apotex, and Hospira and Celltrion (jointly) have all filed amicus briefs in support. The arguments of amici are similar to those of Sandoz, focusing on what they see as the Federal Circuit’s misreading of the BPCIA’s notice of commercial marketing provision and improper grant of injunctive relief.